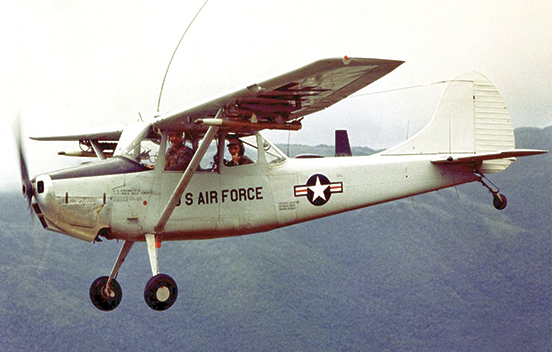 The Cessna L-19 Bird Dog was produced to fulfill the U.S. Army’s need for an aircraft that could perform liaison and observation duties as well as adjust artillery fire. They requested it to be constructed of all metal, as the fabric-covered liaison aircraft used during World War II had short service lives. 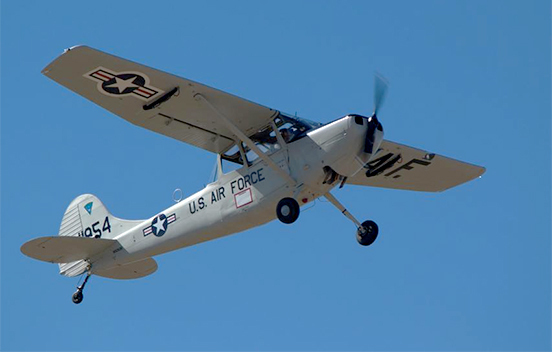 Production of the L-19 (a redesigned Cessna Model 170) began in 1950, and the aircraft were soon in use fighting their first war in Korea from 1950 through 1953. The name “Bird Dog” was chosen because its role in battle was to find the enemy and orbit overhead until artillery or attack aircraft could be brought to bear on the enemy, in the manner of a bird dog used by game hunters. While flying low and close to the battlefield, the pilot would observe the exploding shells and adjust the fire coordinates via his radio. 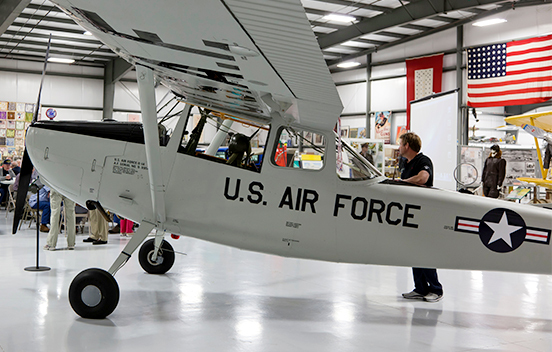 The aircraft were also used in various utility roles such as front-line communication, medevac, and training. In 1962 the L-19 was redesigned the O-1, and entered its second war in Vietnam. 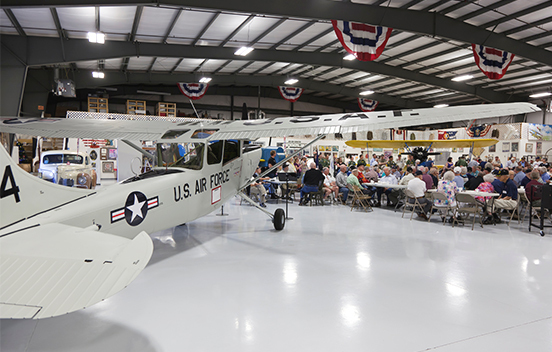 The Bird Dog had a lengthy career in the U.S. military, as well as in other countries.